Meridian has an enduring global reputation for technical luxury and excellence in engineering, hand-built in Cambridgeshire, England. 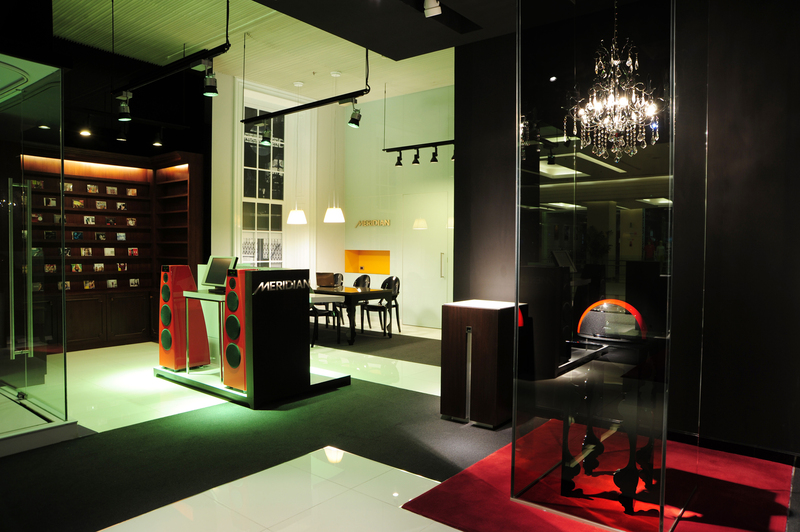 We were first approached by Meridian Audio Ltd in June 2008 in order to create a brand-new retail store concept that would capture Meridian’s fusion of English heritage with the cutting-edge technology. As inspiration we looked to venues where one would expect to experience luxury: a private study, a gentlemen’s’ tailor, a jeweller, a private club. We desire to intrigue the visitor by creating a sense of mystery and anticipation. As the ‘curtains’ go up, the customer’s journey will be unveiled, step by step, like an unfolding story. The visitor should be pleasantly surprised as the products are ‘discovered’ along the way. 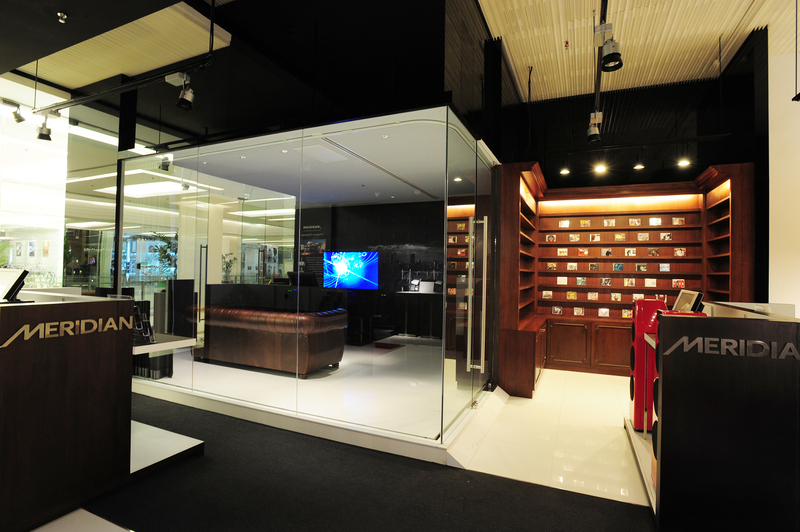 Specific areas make up the Meridian Store concept allowing us to fit the design into any store format. 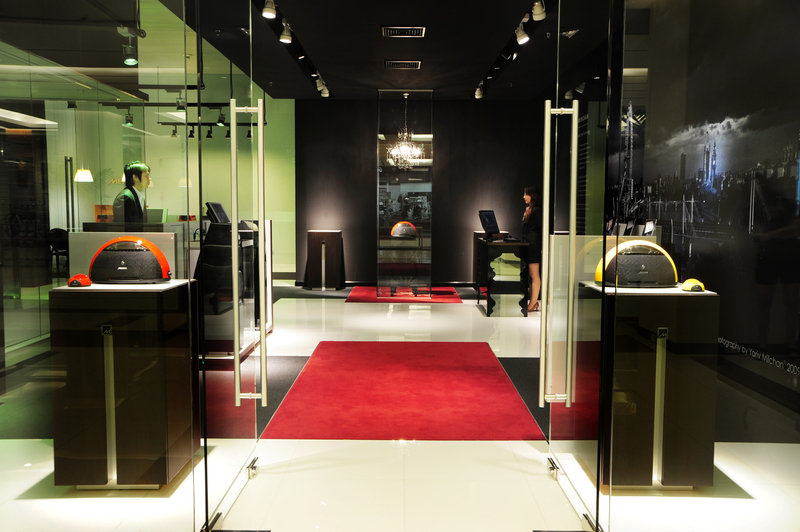 Upon entering the Meridian Concept store, the customer’s first experience is The Gallery, where a red carpet leads the client into a dedicated retail zone surrounded by display fixtures exhibiting the company’s products as well as its history and British heritage. The Orangery is designed to showcase a home set-up with concealed in-wall speakers and The Concierge Reception, a dedicated personal shopping area offers convenience and exclusivity. 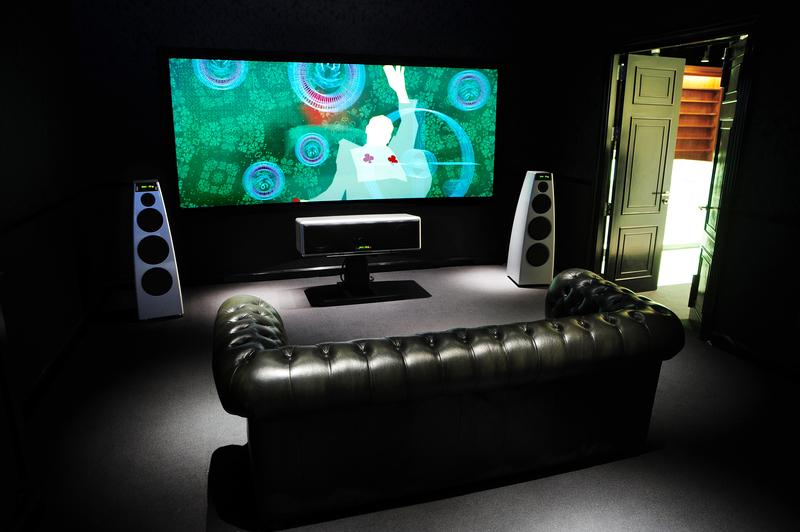 The Meridian Experience is a modern and comfortable purpose built home-theatre, where the very best of Meridian can be experienced. The Crown Jewels is a focal point within the Meridian Concept store showcasing, in a glass-fronted display cabinet, Meridian flagship or historical products. Large scale graphics create ‘visual hotspots’ to meet customers eye around the retail space. 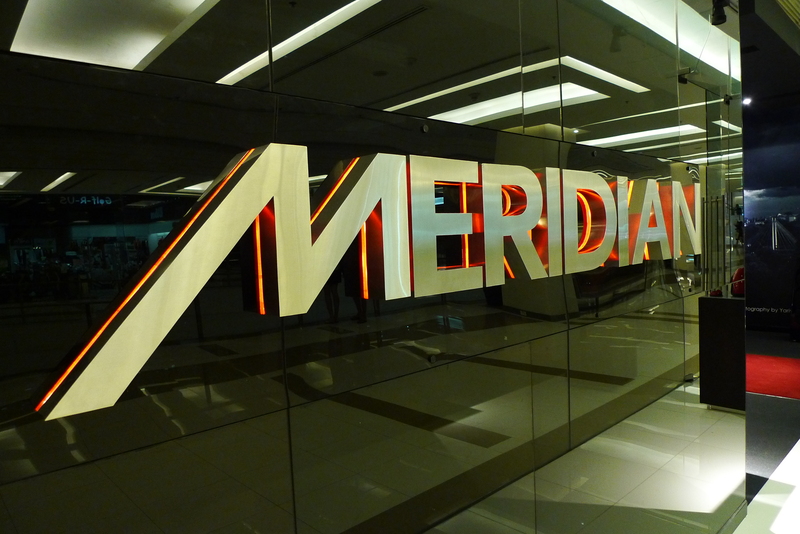 First Meridian Concept store opened in Bangkok Siam Centre in 2009. Since then the Meridian global distribution has grown with many new stores opening around the world. This global philosophy combined with increasing wealth in emerging markets & a growing desire for quality British manufactured products have resulted in demand outstripping supply for our products.